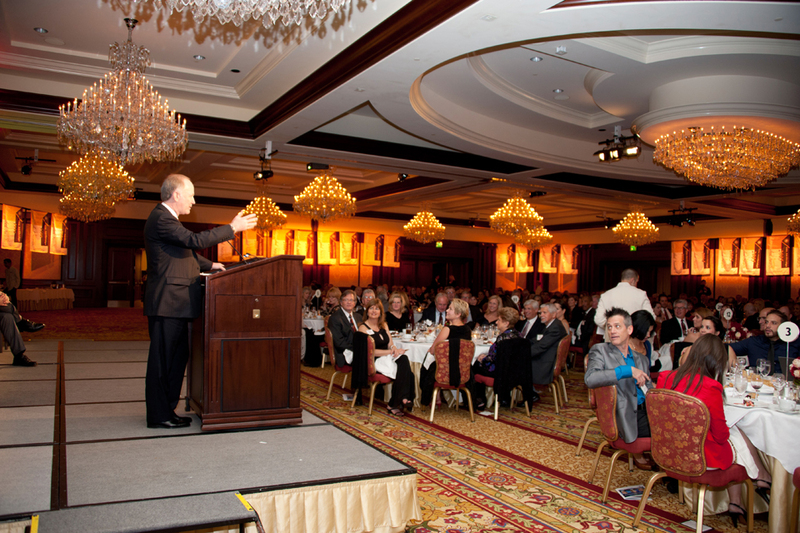 California State University, Northridge’s 2013 Distinguished Alumni Awards took place on April 13 at the Four Seasons Hotel in Westlake Village. The event celebrated the university’s legacy of achievement, its continuing commitment to learning and the ever-increasing value of the CSUN degree. CNBC anchor Bill Griffeth ’80 (Journalism) and past Distinguish Alumni recipient returned for the 12th time to serve as master of ceremonies. Photo by Lee Choo. The three 2013 Distinguished Alumni accepted their awards and expressed gratitude to Cal State Northridge for recognizing their achievements. From left: Ravi Sawhney ’79 (Art Three Dimension), Rebecca Mieliwocki ’01 (Secondary English Education Credential) and George Leis ’81 (Geography). Photo by Lee Choo. 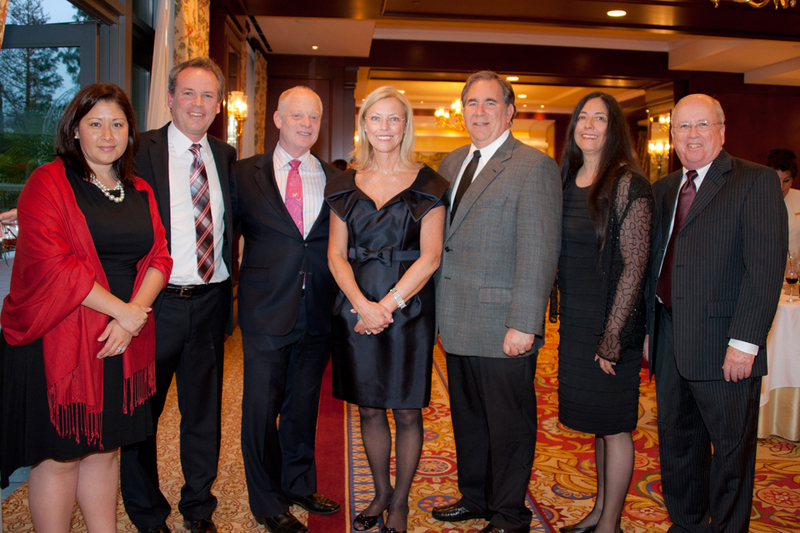 Several past Alumni Association presidents pose with President Dianne F. Harrison at the 2013 Distinguished Alumni gala. From left: Tammy Tolgo M.A. ’02 (Business Administration), Gene Detchemendy ’84 (Marketing), Larry Twersky ’79 (Marketing), President Harrison, Wayne Adelstein ’70 (Political Science), Alma Zatarain ’80 (Finance) and Dave Novak ’74 (Business Administration). Photo by Lee Choo. Members of the N Crowd, a CSUN student organization, visit with CSUN’s vice president of student affairs William Watkins ’74 (Urban Studies) and his wife, Paula Watkins. From left: William Watkins, three members of the N Crowd and Watkins’ wife, Paula. Photo by Nestor Garcia. Some members of the Ad Hoc Committee on Athletics Engagement joined the celebration, congratulating George Leis on his accomplishment. 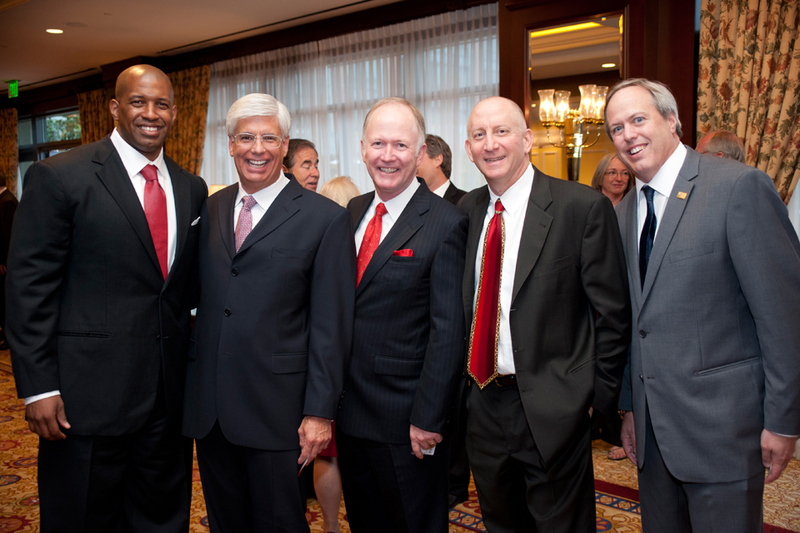 From left: Brandon E. Martin, Ed.D., CSUN’s director of Intercollegiate Athletics; George Leis, Distinguished Alumni Award honoree; Bill Griffeth ’80 (Journalism), event master of ceremonies; Chuck Gilbert ’86 (Economics); and Dennis DeYoung ’87 (Finance), president of the Alumni Association. Photo by Nestor Garcia. Among those also in attendance at the 15th annual Distinguished Alumni Awards was newly named head coach of the men’s basketball team, Reggie Theus. 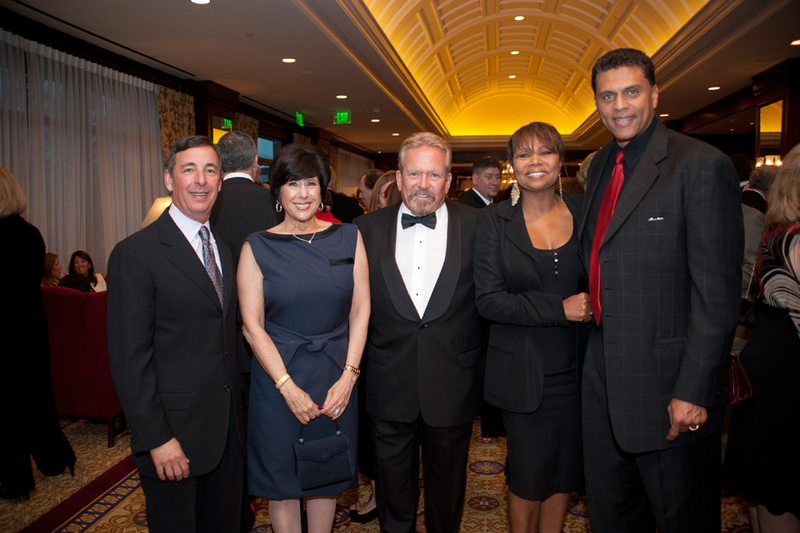 From left: Richard Bergman ’77 (Accounting), a donor; Barbara Bergman ’76 (Health Science), a donor; Tom Ford, associate athletic director for external relations; Reggie Theus’ wife, Elaine; Reggie Theus, head coach of men’s basketball. Photo by Nestor Garcia. Three of California State University, Northridge’s most illustrious alumni received the Distinguished Alumni Award at a special gala on Saturday, April 13. The 2013 recipients—National Teacher of the Year Rebecca Mieliwocki ’96 (Teaching Credential); George S. Leis ’81 (Geography), regional president for the central coast for Union Bank; and Ravi K. Sawhney ’78 (Art Three Dimension), president and chief executive officer of RKS, an innovative, award-winning design firm based in Thousand Oaks—all praised Cal State Northridge for giving them a start along their career paths. Mieliwocki said she was humbled by CSUN’s selection of her for its highest alumni award. Leis, who is a member of CSUN’s Foundation Board and has served on several university committees, including the advisory committee that recommended the appointment of Dianne F. Harrison as CSUN’s new president, urged other alumni to get involved. “Give generously of your time, your talent and maybe more importantly your financial support as we together take CSUN to the next level,” Leis said. Harrison, Alumni Association President Dennis DeYoung ’87 (Business), and CNBC commentator, author and master of ceremonies for the event Bill Griffeth ’80 (Journalism) all applauded the honorees and welcomed attendees. 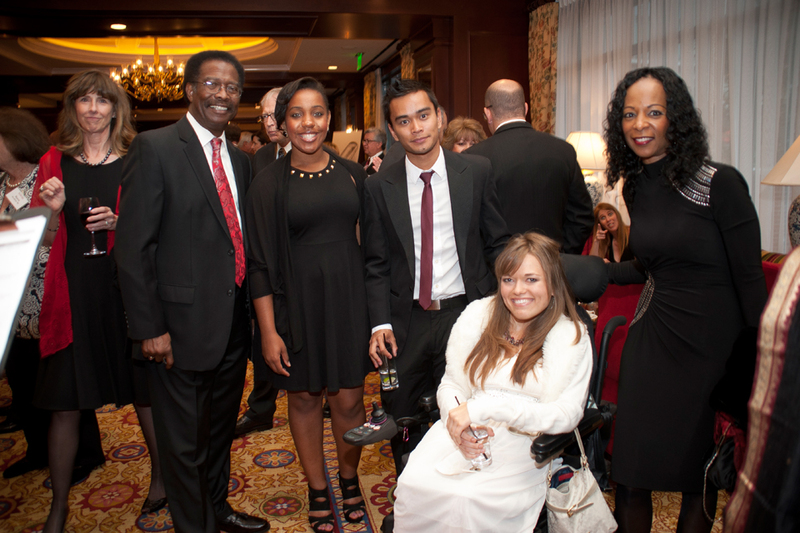 A record number, more than 440 people, attended the annual event held at the Four Seasons Hotel in Westlake Village, Calif.